Category Archives for "Vaporizer Guide"
​Weed (marijuana) comes in a number of different forms. The most common type of weed that cannabis users use is dry herb. As you probably know, dry herb is the bud that grows and can be picked off of the hemp marijuana plant directly. These buds are trimmed down and stems snipped off so that you are able to purchase it by net weight. The third most common form of weed is a liquid or oil. BHO or Butane Hash Oil is a very popular form of cannabis consumption for medical marijuana patients. THC liquid is also higher in THC levels then dry herb. All 3 of these forms of weed can be smoked (vaped) using a potable vaporizer.​ Another thing to note is that all 3 of these forms of weed can be either THC dominant or CBD dominant. THC will deliver psychoactive effects while CBD will not. CBD is the second most found compound in the hemp plant (next to THC) and is becoming more popular in the field of medicine. 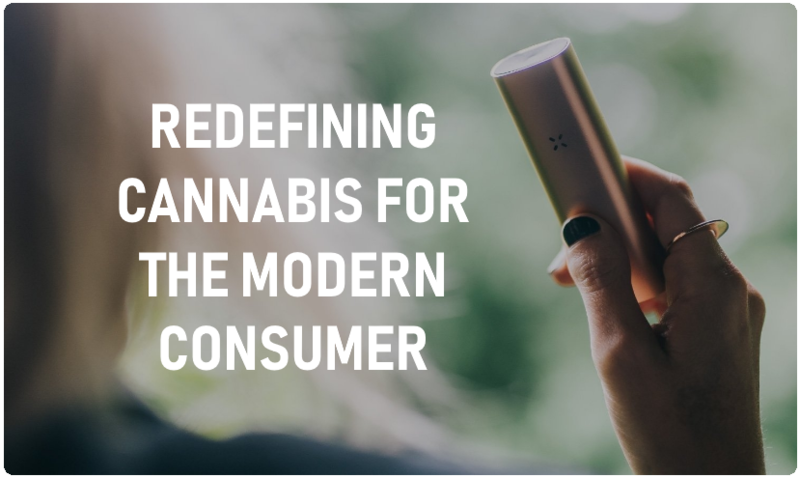 ​The two top level categories you can pick from before learning how to smoke weed from a vaporizer are desktop and portable. Desktop vaporizers are larger and must be plugged into a power source in order to function. Similar to a desktop computer it is designed for home use. Portable vaporizers are ones that can be used without having to be plugged into a power supply. Portable weed vaporizers use internal batteries which can be recharged. ​Desktop vaporizers ​powerful ​and effective. ​The most popular desktop vaporizer is the Volcano by Storz and Bickel. The Volcano is priced over $500 and is over a decade old. It uses convection heating and a balloon valve setup. You can view the Volcano and ​more of the best desktop vaporizers here. ​Portable vaporizers is a broad term that ​has many sub levels. ​Under the umbrella of portable vaporizers falls; portable dry herb vaporizers, wax vaporizers (wax pens, concentrate vaporizers, concentrate pens, enails, dab pens), oil liquid vaporizers, and multi material vaporizers. You can learn more about each type and view the top devices within each by visiting our page on the best portable vaporizers. ​The cost can vary a great deal when looking to purchase a vaporizer. There are many things to take into account and depending on your needs will effect the price. If you are looking for a smart app powered vaporizer there are only a handful of options to choose from. If you are looking for a touch screen device there are only a couple of those as well. If you are looking for a cheap starter kit to give vaping a try there are tons of those to choose from. ​To get the best out of your desktop or portable vaporizer you will need a good grinder. When it comes to dry herbs you can't grind your material to small or it will pass through the filters. You can't leave your dry herb to clump either or it wont vape efficiently. Luckily one of the best vaporizer manufactures has the perfect solution. PAX Labs, the team behind the popular PAX 1, 2 and 3 vaporizers has introduced the PAX grinder. This grinder will allow you to grind your herb to get the best performance from your vaporizer. 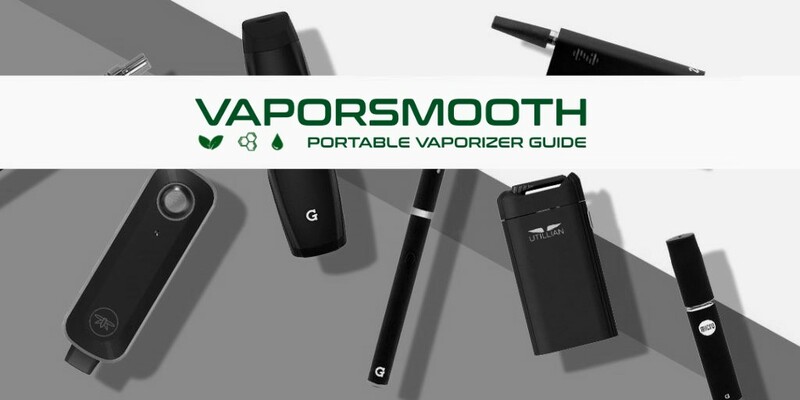 ​There are lots of things to learn about when it comes to vaporizers and how to choose the right one. Here are some additional readings that may help you in your search for the perfect weed vaporizer. Its a good idea to first narrow in on the type of weed you will be smoking, and the type of vaporizer you will want to smoke it with. Then by looking into those specific vaporizers you can easily read the instructions on how to smoke weed from a vaporizer. ​If you would like to take the vaporizing experience outside, there are a some important things to take into consideration on how to choose the best vaporizer. ​Will it vape the correct type of material? Is it going to be​ durable enough to ​withstand your travels? How ​much vapor will it produce and is it discrete enough? How easy ​is it to operate? Will the vapor ​performance it produces ​satisfy your needs? How much ​will it cost? These are all things that will weigh in on your decision on how to choose the best vaporizer. ​​Usually, the best choice for a cannabis vaporizer will be ​a decision between a portable vaporizer, vape pen, and pre filled vaporizer. A Vaporizer is a general term used as an umbrella term that encompasses a wide range of vaping devices. There are dry herb vaporizers, multi material vaporizers,​ and cannabis extract vaporizers for vaping cannabis. ​Concentrate vaporizers come in the form of wax pens, pre filled THC and CBD vaporizer pens, and enails. ​The very first question to ask is if the vaporizer you are looking for will vape the right type of material. if you miss this step you could end up with a device that you cannot fill. ​You have​ 3 choices of ​material to vaporizer. There is 2 parent categories that each of these 3 choices fall under - THC dominant or CBD dominant cannabis. CBD means its not going to give you the psychoactive effects that you get with the THC dominant strains. dry herbs - ​these are the most popular type of portable vaporizer. Keep in mind however, that you will need to have a grinder to grind up your herb to work with your vaporizer. Dry herb is how cannabis naturally grows and does not require human alterations. waxes - ​wax vaporizers are usually less expensive, this is because they have less functionality most of the times and use smaller batteries. Oils and Liquids - these are convenient and easy to ​carry around. Many liquid oil pens can come pre filed which means you don't have to carry around material to fill it with. Atleast not as often, since oil is more potent then say dry herb​. ​​Portable vaporizers can be purchased under any budget. The lowest priced vaporizers can be picked up for as little as $10. While the more expensive models can cost up to $400. The best device is not necessarily the most expensive and the worst is not necessarily the cheapest. New vaporizers as they get released need to find where they fit in. As new models come out the older vaporizers will need to adjust in price to remain competitive. You should have a look at our vaporizer pricing charts and rankings for the different categories in which portable vaporizer fall under. If you re prone to being clumsy, perhaps you should steer clear of devices that include glass components. ​Luckily one of the best vaporizers that uses a lot of glass in there design has recently started offering an acrylic version - check out the Hydrology 9. Something to remember is that, while a​ vaporizer might look ​ok on the outside, but it’s what goes ​on under the hood that you need to consider when choosing the best vaporizer. ​This is the bread and butter of your device. Ultimately, it's ​the quality and flavor of the vapor ​that will make you love or toss aside ​a vaporizer​. Flavor is one of the more personal and subjective ​aspects to when it comes to vaping. But what creates good vapor flavor ​in combination with using good quality material, is the heating method, heating chamber, air pathway, and mouthpiece material and length. The temperature at which vapor reaches your mouth at can also weigh in here. Glass is the best material to have in a vaporizer. Although it’s breakable, it won’t affect the flavor at all because of its smoothness and purity. However, because they’re more efficient at heating up and cooling off - and also because they are less fragile than glass - ceramic and stainless steel are also commonly used, especially within dry herb vaporizers. While they detract from flavor just a little (it’s hard to notice unless you’re a real connoisseur), either of these materials still produce excellent flavor. So don’t get too hung up about it. Heating temperature also affects flavor. As a general rule, lower heating temperature produce a smoother taste but smaller clouds, while high temperature produce larger clouds but a harsher taste. Look for a vaporizer which has good and accurate temperature control, so you can experiment to get the vapor quality you prefer. Vaporizers that include a water attachment or that can be connected to a water piece give you the option to filter and cool down vapor for a fresher hit. ​​Vaporizers heat in 2 general ways. 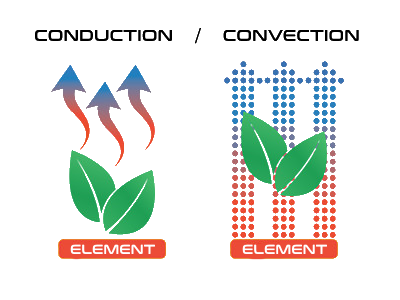 Some heat your material by passing hot air through it (convection vaporizers) while others heat your material by direct contact with a hot surface (conduction vaporizers). ​​Convection vaporizers tend to be a little bit more expensive and a bit larger in size. This is because they are more complex and require more space for the design. ​There are a few key reasons why people generally prefer a convection vaporizer over a conduction one. A convection vaporizer vaporizes your material more evenly and produces better flavor. Convection vaporizers also reduce the chance that your material will combust. ​​The 3 additional things to consider when choosing the best portable vaporizer to buy are its ease of use, discretion level and portability. The ease of use is pretty standard with most portable vaporizers. The bulk of devices manufactured today use a 1 button operation setup. Usually how this works is that you are able to press the button 5 times to turn the vaporizer on, press it once or twice to change temperature and other settings. More advanced vaporizer have multiple buttons and even blue tooth app connectivity. ​Vaporizers are not the most discrete product by nature. You inhale vapor and blow it out in the form of an obvious cloud. The vapor cloud can be minimized by the help of temperature control and quicker inhales. Convection vaporizers and water filtration also help to limit the amount of visible vapor. Vapor clouds are one thing, the smell of cannabis is another. The smell of cannabis is hard to mask and your pretty much busted if your upwind of anyone who you may not want knowing that you are smoking cannabis. Again, temperature controls, water filtration, and micro hits are some thing that you can do to limit this. Portability is all about the size of the device, durability and battery life. If you are looking for the most portable vaporizer these are the three things you need to consider. ​Some vaporizers come with an internal battery while others use external batteries. External batteries are preferable in my opinion as they allow you to carry extras to prolong the vaporizers usage time in between charges. Vaporizers are electronic devices that heat forms of cannabis to a temperature where the active ingredients are released as a vapor. These cannabis compounds can then be inhaled while avoiding combustion and decreasing the production of harmful tar and carcinogens. Combustion typically occurs at the 230°C (446°F) and above mark. Cannabis vaporizers operate at a lower temperature range. The vapor produced by a cannabis vaporizer consists mainly of tetrahydrocannabinol (THC), Cannabinoids (CBD), and terpenes. THC is the main ingredient in cannabis responsible for the high. CBD is the second most found compound in the cannabis plant which has no psychoactive effects. Terpenes are fragrant compounds that give cannabis its different flavors and scents. When you vaporize cannabis, these compounds get mixed together, resulting in a flavorful, potent hit. There are a few different types of cannabis vaporizers: desktop vaporizers and portable vaporizers are the top two categories that the sub categories get divided into. Desktop vaporizers are designed to vape dry herbs or concentrates and in some cases both. Desktop vaporizers are those that need to be plugged into a power source in order to function. Portable vaporizer are those that run on batteries. Portable vaporizers come in many shapes and sizes and are designed to also vape both dry herbs and cannabis extracts. Vaporizers vary according to the method by which they heat the cannabis and according to what form the material being vaporized takes. Some vaporizers can only be used with dry herbs, some with only concentrates, but others are also compatible for use with both. Concentrate vaporizers go by a few different names. Wax pens are those shaped like pens, e-nails and e-rigs are for wax/dabs which usually come as attachments for battery mods. Dabbing pens also come in the form of a suction straw vaporizer. All these variations are just different forms of the same thing - they all are used to vaporizer thicker concentrates. Extract liquid vaporizers are also designed to vape more fluid mediums such as BHO (butane hash oil). THC oil and CBD oil are a growing niche in the cannabis industry. There are a number portable liquid vaporizers that you can get that are both disposable and reusable. Some portable oil vaporizers come pre-filled with liquid cannabis in them. Convection and conduction are two different ways of vaporizing cannabis. Conduction devices apply heat directly to the cannabis, while convection ​vaporizers heat the air around the cannabis to warm it indirectly. Conduction vaporizers are cheaper, but they have the drawback of heating the cannabis unevenly. Convection vaporizers are more expensive and take longer to work, but they heat more evenly and produce a better result. An example of a convection vaporizer is the Utillian 721, while an example of conduction is the PAX 3. As of recently a third heating method has been created called induction heating.​ Induction uses electromagnetism to heat a metal object which in turn heats the material around it. The Loto Lux is the first device known to do this. Botanicals, loose leaf, dry herbs are all one in the same. This is how cannabis is created by nature itself and is the buds that we take directly from the stem of the plant. A cannabis concentrate is an extract created by combining cannabis with a solvent. The solvent extracts the active compounds from the herb and is then allowed to evaporate, leaving a thick, sticky, solvent-free wax or oil that is extremely rich in THC. While dry herb typically contains around 10-25% THC, concentrates may contain 50-80% THC - and sometimes even more. Obviously, this makes concentrates much more potent than dry herb. The two main things you will want to know regarding cannabis compounds is the difference between THC and CBD. If you are looking for the psychoactive effects then you will want to be using THC dominant strains of cannabis. If you do not want psychoactive effects then you will want to use CBD dominant strains of cannabis. Although more studies need to be backed by reputable sources, it is widely believed that using a vaporizer has clear benefits over smoking cannabis. The main benefits include a reduction of harmful compounds such as tar/carcinogens and the more efficient delivery of cannabis compounds. Put simply, vapor contains fewer toxins and delivers more of the active ingredient than smoke does. Other benefits include a cleaner taste and greater discretion. 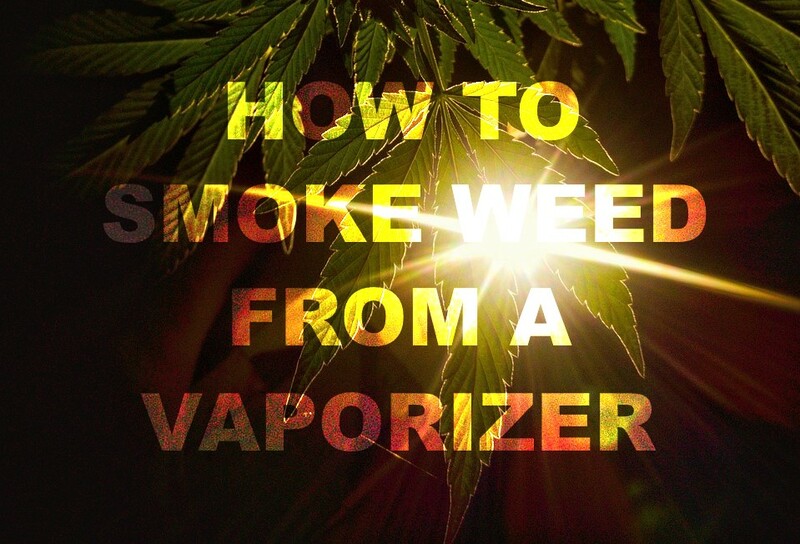 Starting out vaporizing has a few hurdles that you will need to overcome. First off it has a bit of an expensive start-up costs. A desktop vaporizer costs at least $200, while portable devices start at around $80 for a descent device. New or inexperienced users may also find they accidentally get too high. Because vaporizers extract and deliver THC more efficiency, the hits produced by vaporization can be much more potent. One major hurdle when entering into the vaporizer industry is the learning curve to get a sound understanding of all the devices. We hope that by reading this article here on cannabis vaporizers you will come out the other side with a better overall understanding. The vapor produced by a vaporizer has a cleaner taste and is less harsh than smoke, so it’s easier to inhale more. Some of the more advanced vaporizers being manufactured today have micro dosing technology that will help to steer clear of this. Vaporizers heat cannabis in the form of dry herb, wax, or oil to a temperature where the active ingredients are released into a vapor, but not so hot as to produce smoke. Smoking cannabis creates harmful by-products and tar similar to those found in tobacco smoke. Vaporizing produces a cleaner, smoother hit. Vaporizing avoids the drawbacks of smoking while offering many of the same conveniences, such as rapid effects and the ability to easily control your dose. While vaporizing does require an upfront investment, that investment eventually pays off in terms of getting more from your cannabis as well as in terms of health benefits.